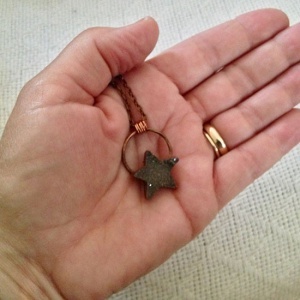 Starlight, star bright, first star I see tonight, I wish I may, I wish I might, have the wish I wish tonight. 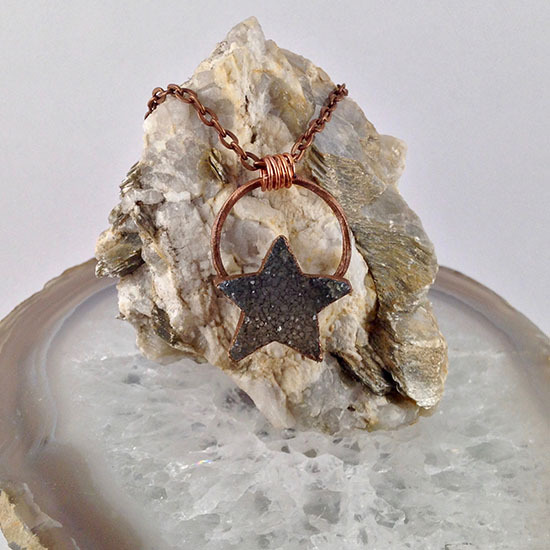 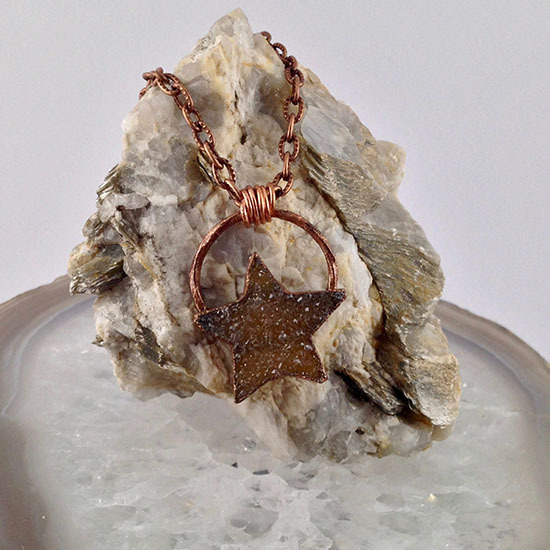 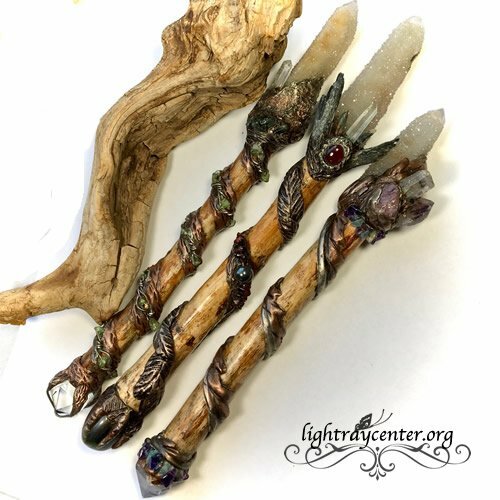 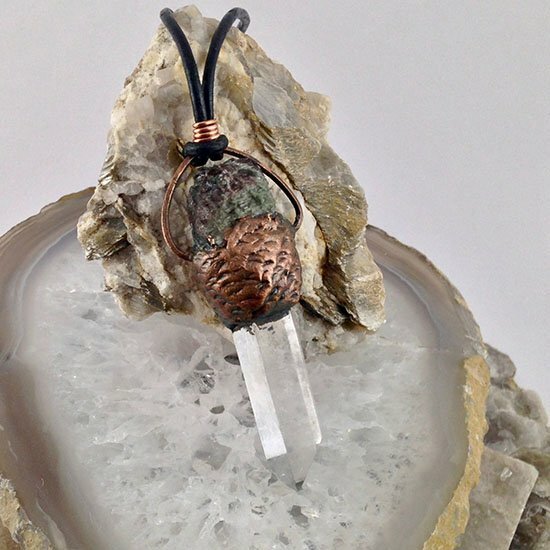 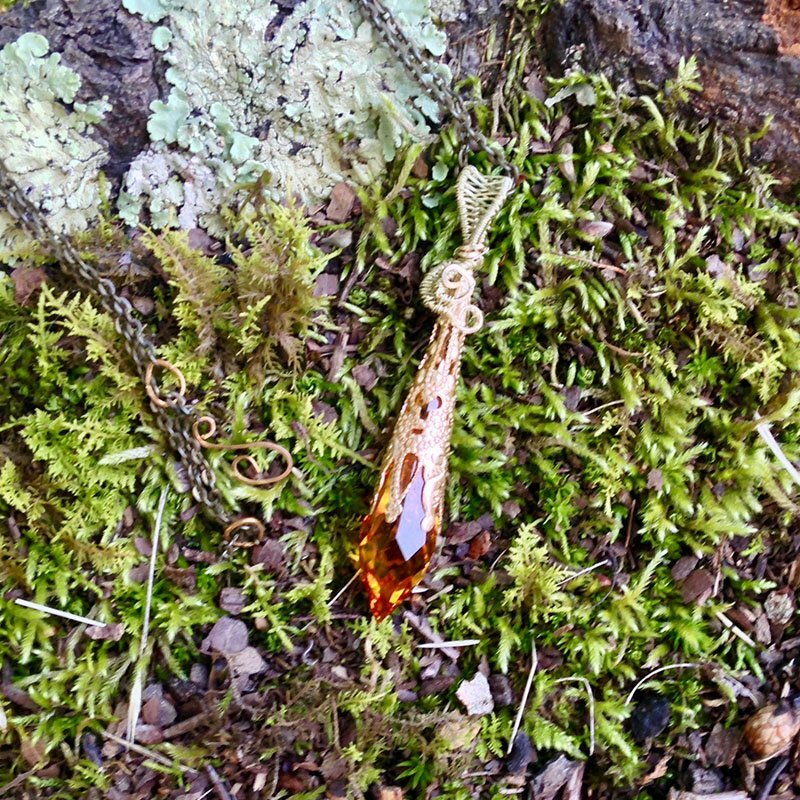 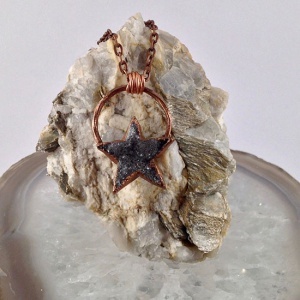 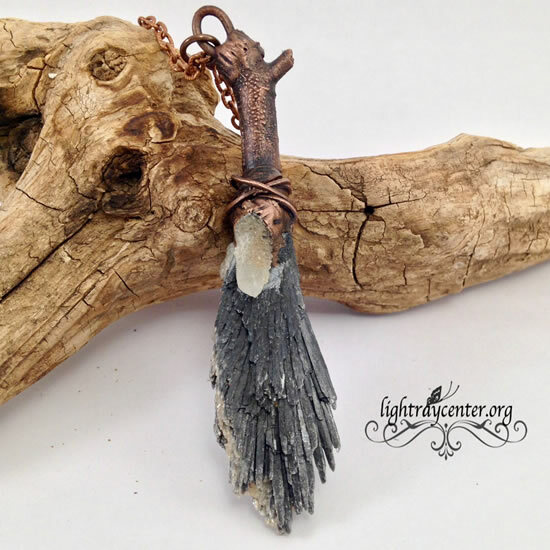 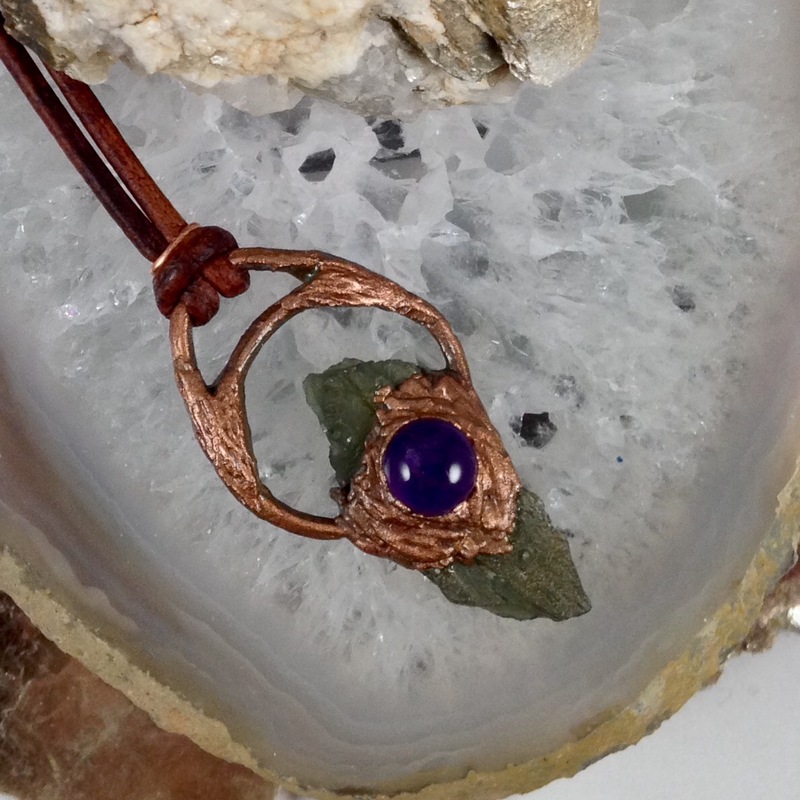 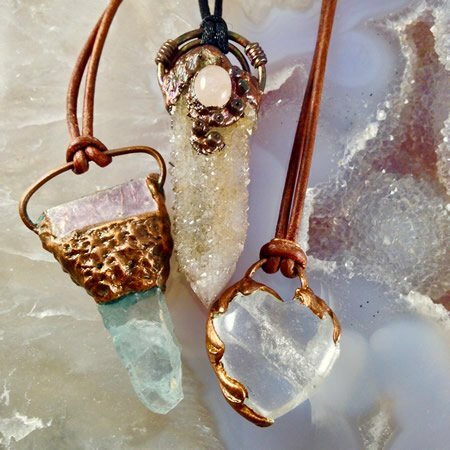 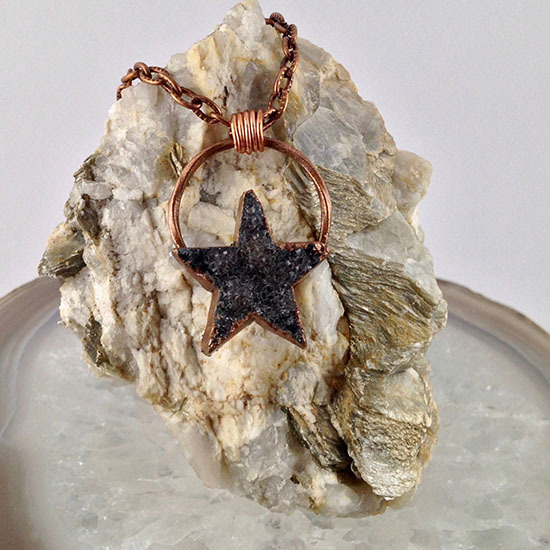 These handmade copper pendants feature assorted druzy crystals cut n the shape of a star. 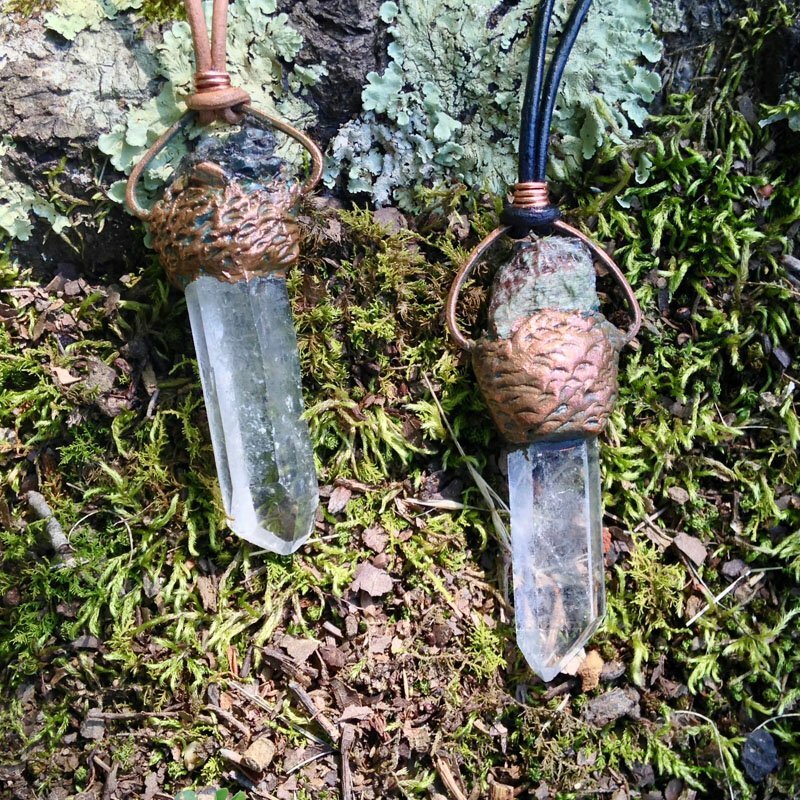 They really catch the light and twinkle day or night. 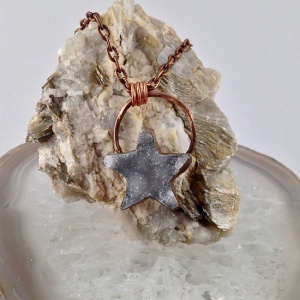 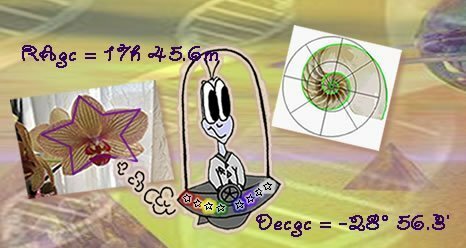 The stars measure between 20-22mm and are mounted on a twisted cooper circle , a spring bail on a a 24″ copper chain with a lobster clasp.